Homey’s abilities really start to get interesting once you introduce more devices to it. A contact sensor is the ideal next step for anyone who’s looking to take advantage of everything that Homey has to offer. Door/window sensor, contact sensor, call them whatever you like. They are compact devices filled with functionality, mainly intended to monitor doors and windows. However, with a bit of creativity it can achieve much more than that. Here are a few ideas to help you get started using these sensors to make your home a little smarter. 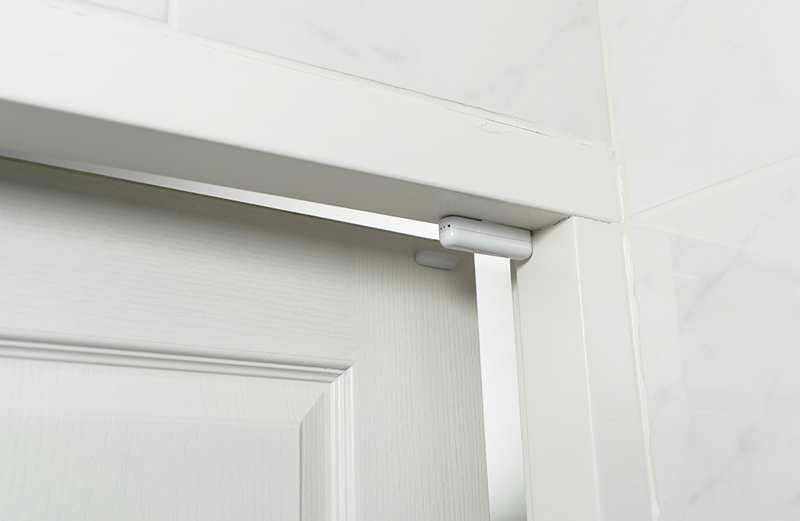 Affixing a contact sensor to the door or window you want to monitor is the first step. Thankfully, all the contact sensors in the Talks with Homey Store are easy to mount. You’ll either find an adhesive patch, screws or tape in the package. Choose between ways of attaching the sensors, depending on the surface and how permanent you want its positioning to be. Of course, follow the instructions to position it properly! Let’s check out some cool use cases. Practically every home has one of these: a door that’s never closed. Whether it’s a construction issue, a broken hinge or a forgetful family member, an open door allows draft and cold to come in. Keep an eye on that specific door with a contact sensor that reports directly to the Homey Smartphone App. You can do this by pairing the sensor to Homey, and it’ll immediately show up in the Homey Smartphone App interface. You can even send a push notification to your phone to notify you if the door is open. Or, even better: install the Soundboard App onto Homey and play an alarming sound when somebody doesn’t close the door properly! The next time draft is getting in, you’ll know about it. Like you can guess when you hear ‘contactsensor’, these sensors are built to keep track of whether things are open or closed. 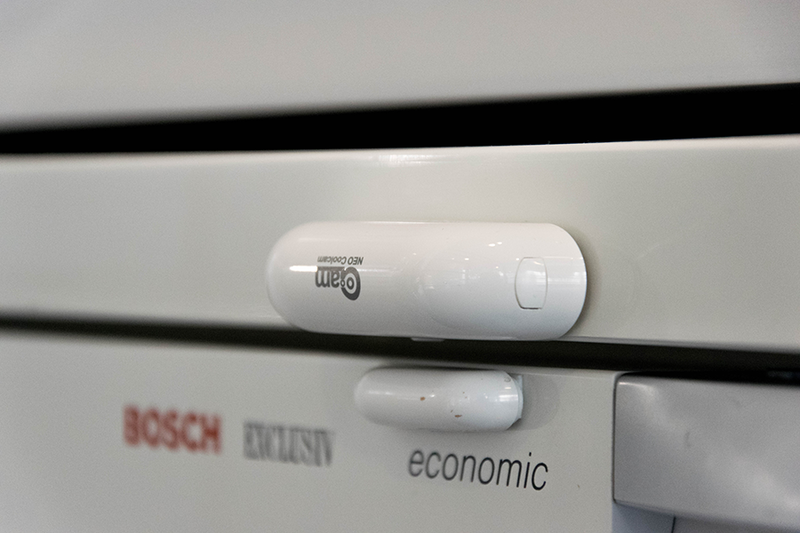 However, some contact sensors, like the Fibaro Door/Window Sensor V2, also have onboard temperature sensors. Alongside its main duties, the device will also keep track of the temperature around it – which can be rather useful when you’re dealing with draft. Or if you want to monitor the temperature per room, without spending extra on separate sensors. Create somewhat advanced Flows with temperature changes. Set your extreme temperatures and adjust your thermostat according to the measured temperatures. Of course, this will require additional devices, like a smart thermostat or radiator valves. It’s very easy to convince yourself that you’ve left a window wide open when you’re away from home. Fortunately, you can monitor your windows from a single glance at the Homey Smartphone App. 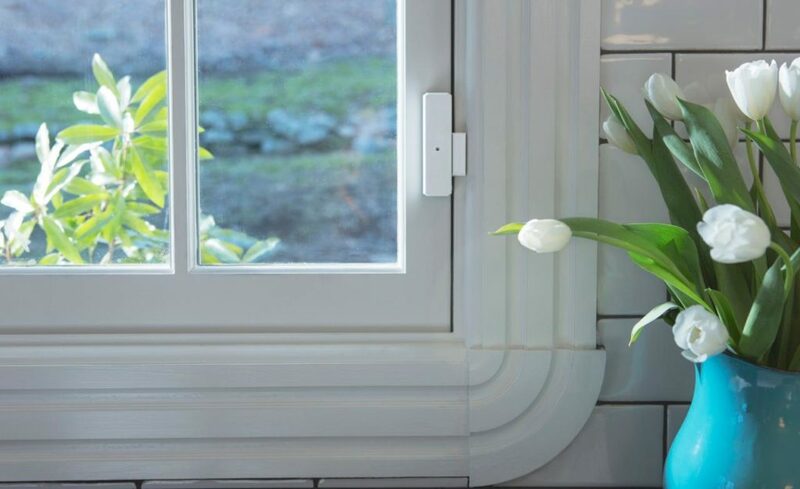 You’ll find an overview of the contact sensors monitoring your window, letting you know your window’s current status. The best part? You don’t have to do anything for it, other than connecting them to Homey. You’ve set up an ongoing report, that you can check from anywhere in the world, with a minimum of fuss. 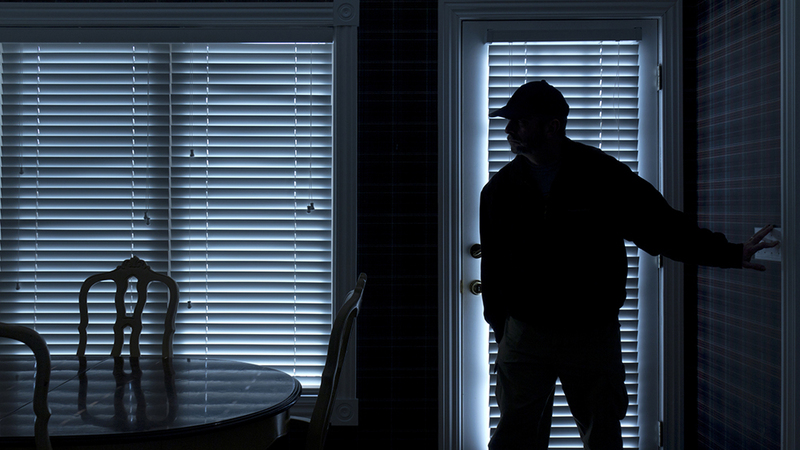 Home Security systems can be great for your peace of mind. However, they’re very expensive. Set up an effective method of surveillance with just your Homey and a few sensors at a small fraction of the price. Place sensors on the entrances of your house – ideally any that could be accessible to someone trying to break in, but at the very least the front- and backdoor. Depending on your home, it might make sense to tweak your set-up for the various different sensors, such as a motion sensor. Once the devices are in place, head over to the Homey Flow Editor and set some alarm triggers. Send a push notification to your smartphone, or trigger a Homey Soundboard Alarm when a door is openend/closed when away from home or between certain hours. Or flash your smart lamps as a visual alarm! With everything in place, you’re good to go; you’ll receive notifications on your smartphone if a door or window opens unexpectedly. While this doesn’t directly replace a conventional security system, it’s a very cost-effective way of getting ahead of possible intruders in your home. Every once in a while, you’ll receive a letter. Homey can let you know whenever you receive one by giving you a smartphone notification whenever someone opens your postbox. By telling Homey that you want a push notification on your smartphone whenever the postbox is opened, you will never miss a letter. Not all sensors have to be used in a sensible, intelligent way. Have some fun with them! Add a contact sensor to the beer fridge in your mancave. Install the Homey Soundboard App and pick a cool sound that plays when you open the fridge. The next time you get up during guy’s night to get beers from the fridge, your friends will be notified by the sound! We have this at our office. Once we hear Homey shout ‘Ha, beer!’ we know what time it is! Inspired and want to try out some of these use cases? Let us know!